"In an effort to get my son’s comic published, I was getting the run around from other online artists and was not happy with the service I was getting. One of the best decisions I made was to start over with Cartoon Studios. They not only delivered, but exceeded on everything promised. They are extremely professional and do amazing work. I can not recommend them enough." "The caricatures by Paulo Peres were spectacular hits at the meeting last week! They were on display in the meeting room, and the number of positive comments was not possible to count. Thank you so very much for a wonderful job, and for bringing many smiles and much laughter to the recipients and to their colleagues!" "I hired Ke Sneller to illustrate a book in our line of Western comics and could not be more thrilled with the dramatic realism he brought to our story. The finished product looks amazing and I certainly recommend any company who wants professional results to consider Ke or any of the artists at CartoonistForHire.com!" "I was glad to find Edgard Rodrigues to illustrate our comic book about Sitting Bull. Using his painterly style to render this Native American story, the result feels as authentic as the story is. Communication was great. Paying using PayPal was easy. I'll certainly use this site again to hire more artists to complete our books!" "Looking for a gift for a person who has everything, I decided to hire Neal Anderson after seeing his portfolio: strong lines, perfect coloring.... you can feel the emotion in his characters. Not only did his work surpass my expectations, but his professionalism was impressive: communicative, on time, a pleasure to work with. I totally recommend him, and I hope to have more special projects for him in the future." "The cartoon is everything and more we had thought it would be. It looks great!" -Jeff S., regarding his assignment to create a comic strip based on his granddaughter, completed by Derek Wilks. "I utilized Ke Sneller to create story boards for a feature film project my company is developing. 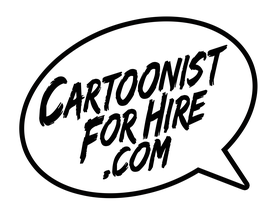 Working with CartoonistForHire.com was a perfect creative environment. They took my ideas and feedback until the project was completed to not only my satisfaction but exceeding my original concept- great experience!" "By having my portfolio here on CartoonistForHire.com a wide variety of clients find me every day at such an obvious website domain. One of my favorite jobs was the Presidential IQ game which required box art, icons and drawing nearly every President. 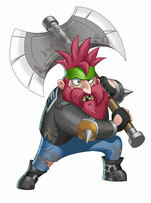 The game is fun and the game inventor was a perfect client." "CartoonistForHire.com has not only provided the exposure my portfolio needed, but they have acted as the integral bridge between me and potential clients." "CartoonistforHire.com has been, without a doubt, the most prolific of all the freelance sites I am subscribed to in regards to projects available. The site is a great idea and I'm looking forward to how it progresses!" "There are so many PAID writing jobs at CartoonistForHire.com that I literally don't have time to apply to all of them." "CartoonistForHire.com is my greatest partner for art commissions and freelance assignments! After several successful illustrations and comic book projects for diverse clients, I'm now involved in an exciting new comic book project with an experienced writer from the industry who first saw my work at CartoonistForHire.com!" More questions? Visit our FAQ!